The California Genealogical Society is pleased to welcome genealogists and authors, Jean Wilcox Hibben, CG, and Gena Philibert Ortega. Elisabeth: The Story of a German Immigrant is based on Jean's genealogical research of her great-grandmother who left her homeland and five children to escape an abusive husband. The novel details Elisabeth's efforts to reunite her family in mid-late19th century Chicago and New York. 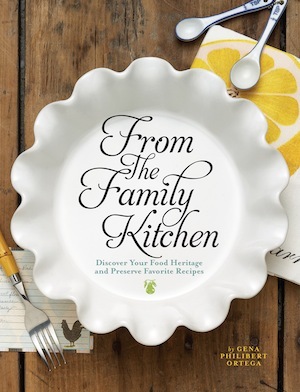 Gena's From the Family Kitchen is a three-part keepsake that will help you celebrate your family recipes and record the precious memories they hold. The book will show you how to uncover historical recipes and food traditions which offer insight into your ancestors' everyday lives. The book event is free and open to public but seating is limited so pre-registration is requested. Please arrive early. Gena's book will be available for purchase and autograph by the author. Jean's e-book is available in iOS format from iTunes and as a Nook Book from Barnes and Noble. Please note that the e-book is set up for single downloads that cannot be copied from one device to another. Jean and Gena's visit to CGS is part of a statewide book tour. For more information visit Gena and Jean Genealogy Tour blog. Jean Wilcox Hibben, certified genealogist and national speaker, is a retired college professor with MA (Speech Communication) and PhD (Folklore) degrees. 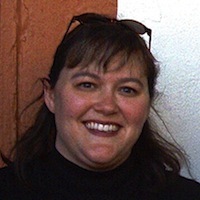 She serves in leadership positions for several genealogical groups including, Director of the Corona, California Family History Center; president of both the Corona Genealogical Society and Southern Calif. Chapter of the Association of Professional Genealogists; board member of the Association of Professional Genealogists; and secretary of the Genealogical Speakers Guild. She is also an occasional volunteer at the National Archives, Pacific Region, Riverside. Gena Philibert Ortega holds two Master’s degrees, one in Interdisciplinary Studies (Psychology and Women’s Studies) and in Religion. She serves as vice-president of the Southern California Chapter of the Association of Professional Genealogists and lectures on various subjects involving genealogy. Gena previously published two other works: Putting the Pieces Together and Cemeteries of the Eastern Sierra. 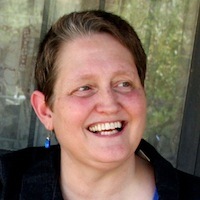 She writes extensively for genealogy newsletters, magazines and blogs. Jean Wilcox Hibben photo by Pam McComb-Podmostko ©2009.